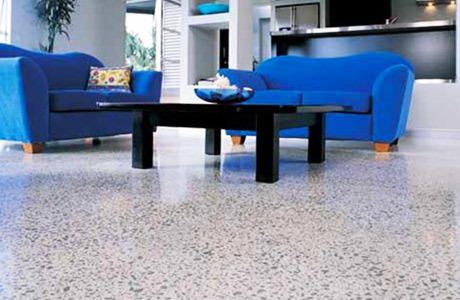 What's the Difference Between Exposed Polished Aggregate and Honed Aggregate? 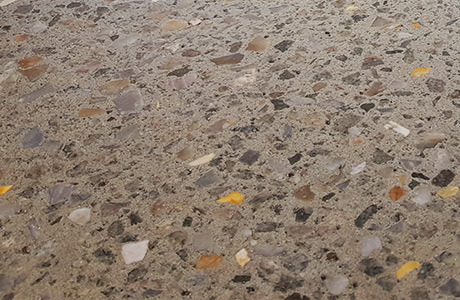 Although both types of decorative concrete begin as exposed aggregate, there are a few differences between exposed polished aggregate and honed aggregate. The most noticeable difference between the two types of exposed aggregate is in the finishes. The finish of honed aggregate is a smooth satin finish, while the finish of the polished aggregate has a glossy and lustrous look. The method our installation team uses to finish the surface dictates the shine of the product. The polished aggregate receives up to six series of buffing as opposed to the lighter smoothing that creates the honed aggregate. As with honed aggregate, an polished aggregate finish can be used to update your present aggregate surfaces. It requires less time, so you will save money and be able to enjoy your beautiful flooring without a long waiting period.